Take a network with you wherever you go. 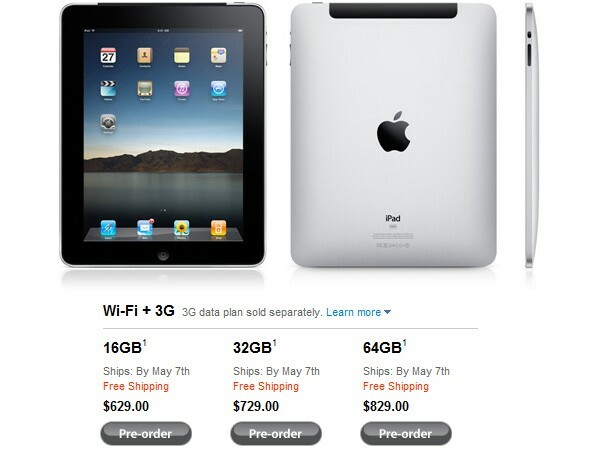 iPad is available in a Wi-Fi + 3G model for fast cellular network access when you’re not within range of a Wi-Fi network. In the U.S., 3G service will be available from AT&T. You can choose from two breakthrough data plans — no contract required.